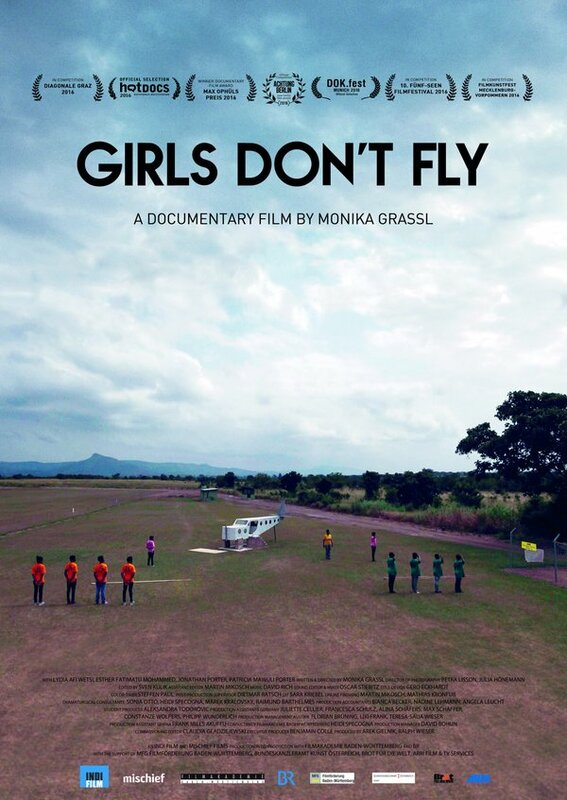 Girls Don’t Fly (Director: Monika Grassl): When British expat Jonathan Porter appears onscreen for the first time wearing a t-shirt that says “I AM NOT A WHITE MAN,” you know you’re in for a bumpy flight. You see, Jonathan is the stereotypical white man and a cringeworthy reminder of Britain’s colonial past. Porter runs an NGO in Ghana that purports to train young women to be pilots. Along with his Ghanaian wife, Patricia, he tries to instil a very Western style of discipline and organization in his students, mostly girls from rural backgrounds. Although director Grassl introduces the girls by name with her title cards, Porter’s program assigns each one a number and forbids them from using their own names (or speaking any other language than English). What starts off looking like discipline very quickly begins to look like abuse and degradation. These young women are used to listening to white men tell them what to do. Even though Ghana achieved its independence from Britain in 1957, there is still a sense that white people should be respected and even obeyed. That sad situation is what allows a creep like Jonathan Porter to thrive. His wife Patricia, a former student, gained her pilot’s licence on her own merits and is a strong woman, but she clearly has hitched her wagon to Jonathan’s scheme and believes in his methods. In one scene, she muses that maybe Ghana achieved its independence too soon, and that they still have a lot to learn from their former colonial masters. Instead of encouraging her students to think for themselves, she becomes an enabler of Jonathan’s most misogynistic traits. He shouts at the girls, he tells them to smile, he dishes out meaningless punishments, and after weeks at the school, nobody’s seen the inside of a plane. Instead, he puts them to work mowing the grass on the runway, or assembling trinkets in the metal shop. The program is four years long, though he tells the camera that in Europe it would probably be two. He claims to be an African and yet he has no respect for the Ghanaian culture and actually tells the girls their names would confuse outsiders. The girls have names like Esther and Lydia. Speaking of Lydia, she’s been turned into a sort of prize. As a result of an infection after an insect bite, her arm is shrivelled and has limited range of movement. But her determination to fly has turned her into one of the earlier classes star pupils. She says she’s been there 3.5 years and is almost ready to gain her licence, but she must have more surgery in Germany on her arm. Porter’s NGO has paid for the surgery and pays all the “tuition” and accommodation costs for the girls, although they appear to gain nothing from the experience. Lydia is used shamelessly in the NGO’s materials to keep the donations pouring in from around the world. She is incredibly charismatic and the newer girls love her, but after a while, the students confide to the filmmaker that they’re unhappy. Esther is one of the better students and she takes a leadership role in their brewing revolt. Girls Don’t Fly turns the feel-good story of charitable organizations helping the less fortunate on its ear. When culturally insensitive and just plain nasty people like Jonathan Porter can support themselves “teaching” while their students get no closer to their dreams, something is wrong. When he can actively discourage them from going back to traditional schooling to continue his program, something must be done. Although Grassl’s film effectively turns over a rock and finds nasty things wriggling, one has to wonder how many other NGOs are operating in a similar fashion. The filmmakers have set up a crowdfunding campaign to help the students continue their regular education. You can donate to help them pay their school fees here. This entry was posted in Documentaries, Film Festivals, Hot Docs and tagged #hotdocs16. Bookmark the permalink.